Harris School Nutrition Solutions is proud to announce that Lennox School District in Lennox, California has selected eTrition for its child nutrition accountability solution. Lennox SD will be using eTrition SaaS, our cloud based solution, along with our integration with RocketSCAN to handle all their food service accounting needs. Lennox will be utilizing eTrition in 7 sites with 22 serving lines. 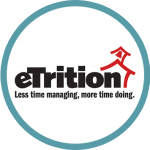 With eTrition SaaS, they will have access to their data from any web-enabled device which will maximize their time, and help improve their overall efficiency to help better serve over 7,000 students!